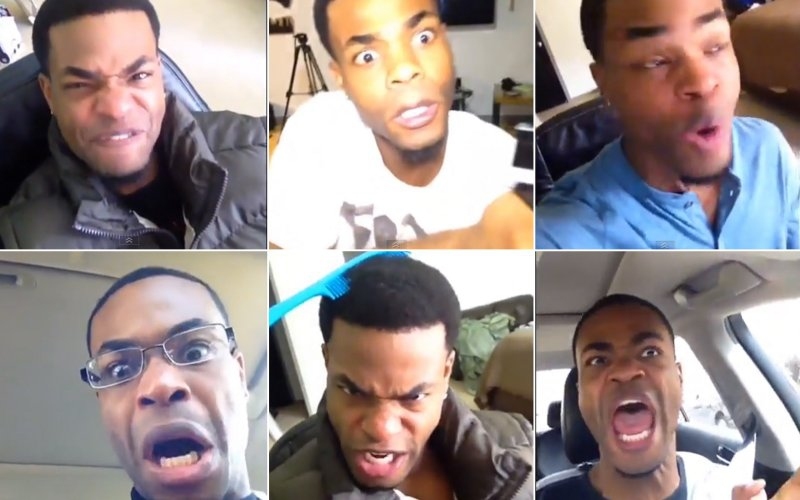 Lately, Vine has been gaining ground as social media’s next big thing. An increasing number of people are joining there to catch on the latest trends on the internet before they blow up worldwide. But is that all? Not really. You might have seen people who join Vine get famous almost overnight, amassing a large number of followers and get Vine verified. After all of that, it is almost impossible not to wonder how you could do the same for yourself. Read on to find out how to become Vine famous. Let’s start with the simplest and in a way the most obvious tip: to Vine daily. Like every social media platform, you want to stay active so that your followers know that you still exist. Think of it this way: if you were a Youtuber, you’d have to do a video every week to keep your subscribers. With Vine, this scale is 6 seconds. Staying active on Vine every day is essential to building your reputation. Since this is social media after all, you want to show yourself off to other people to give them a reason to follow you. If you play an instrument and you have thought of a whacky way to cover a hit song, do it and post the video using the assistive touch feature on your smartphone. Don’t be afraid to show your talents, no matter how weird you think they are. Remember, everyone who went viral did something crazy! Learning how to become Vine famous requires starting with the basic steps first. Hence, hashtags. They are cool, trendy and also provide a great search feature. Apart from that, a funky new hashtag would make you stand out from the crowd and you would attract more attention onto yourself. People would look to you for your creative ideas and others would just follow you for a laugh. Either way, your follower headcount would go up! This is a great way of gathering new followers while increasing your social quotient on Vine. Some people on your profile may have a follower-goal set on their profile or would be looking for more of the same themselves. Help them out. There is a big chance that they might revine you and they might even go the extra mile by shouting you out. Both of these would lead to an influx of that person’s followers into your followers’ list. Twitter and Vine are like a family of social media websites. They share a sibling-like resemblance. So don’t hesitate to cross over between those accounts. Link your 6-second Vine videos on Twitter to garner more followers and this is perfect because no one on Twitter is willing to spend more time than that on a video. Some people who (like you) have both Twitter and Vine accounts, will follow you on both platforms resulting in an increase in popularity for you on both sides! To know how to become Vine famous, you would need to know the little tricks of the trade like this one. Start liking Vine videos which have the genre as the ones you post. Don’t bother too much with the more popular users because liking their videos won’t get your too much attention (a lot of people like their videos, too). Begin with smaller users and you are almost certain to earn a follow-back from them. A nifty way of getting new followers who share your interests! On Vine, you are bound to find some users who are more active than others; these people will tend to be more popular as well! Start by following them and liking the content they share on their profile. Since they are already so famous, they might not notice you at first. Keep at it and over time, you will notice them revining you and suddenly you will have the attention of their huge follower base! Like every other social media platform, you need to be up to date on Vine. Posting things about something that happened a week ago isn’t going to get you any attention. Search for trending topics or hashtags and come up with creative posts about them. You are more than likely to attract a large number of people through those posts. It also helps if you are quick in posting. So make haste! Just like in YouTube, the video quality is a huge factor in deciding how much attention your profile gets. No one likes a shaky, low quality video. You only have 6 seconds so saying that you need to use them wisely is a gross understatement. You cannot afford to let up on quality. Determine whether you want to move the camera beforehand, and use a tripod stand whenever possible. Take the perfect shot and you’ll have a potential viral video on your hands. The golden rule of thumb is to attract more and more attention to yourself. Participate in as many Vine contests as you can. I’m not saying you are definitely going to win it, but it is a good way of putting yourself on the radar. In fact, the more established users who organize the contests might like your posts and start revining you, therefore increasing your reach on the platform. It is no secret that people respond to other people who they can relate with. Don’t be someone you are not. The best way to gather followers and then actually keep them is by being the real you. The people who follow you will do so for who you are and not who you pretend to be. This will help you relate to those who follow you. People who know how to become Vine famous don’t just think inside the box, start to explore and come up with ways to increase your fan base by connecting to Facebook, YouTube and Twitter as mentioned before. After all, the internet is a network and you need to make the most of that network by sharing your Vine posts on all kinds of platforms. Server responsed at: 04/25/2019 7:53 a.m.